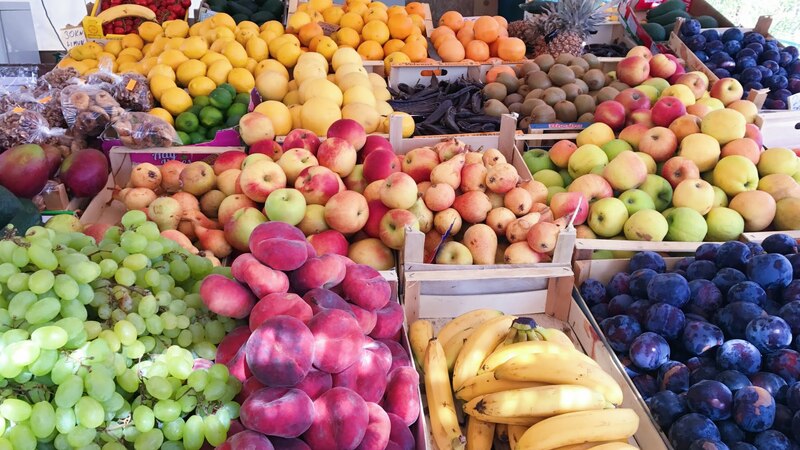 How Much Fruit Should You Really Be Eating? There is a common public misconception that fruit contains “too much sugar”, but this is a simply a misconception. The key with fruit, is that the sugar is naturally occurring, not added, and is not linked to the negative impacts that added sugar has. This is due to the way your body processes them. When sugar comes in it’s natural form in fruits, it is accompanied by other nutrients like fibre, vitamins, minerals, antioxidants, phytochemicals & other beneficial nutrients. These change the way the body breaks down and absorbs these sugars. The harmful effects of fructose, for example, don’t apply to the natural sugars found in fruits. It’s only when sugars are added to processed foods that these negative effects occur. It’s important to remember that without naturally occurring sugar in healthy foods like vegetables & fruits, we can not function because sugar is the fuel for our brain and muscles. Sugar naturally present in whole foods = good, sugar added to food = not good. 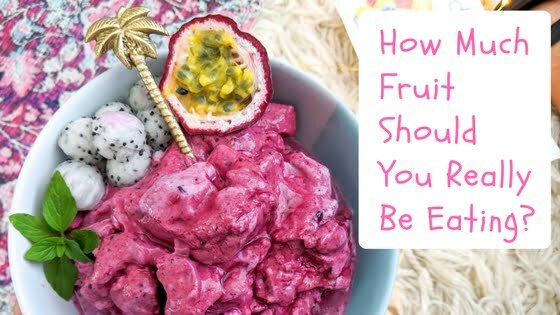 So knowing that you don’t need to worry about the sugar in fruit and all the health benefits of fruit, how much fruit should you aim to eat? Note – these are minimum serving recommendations and may increase depending on appetite, activity level, health status etc. What Is A Serve Of Fruit? 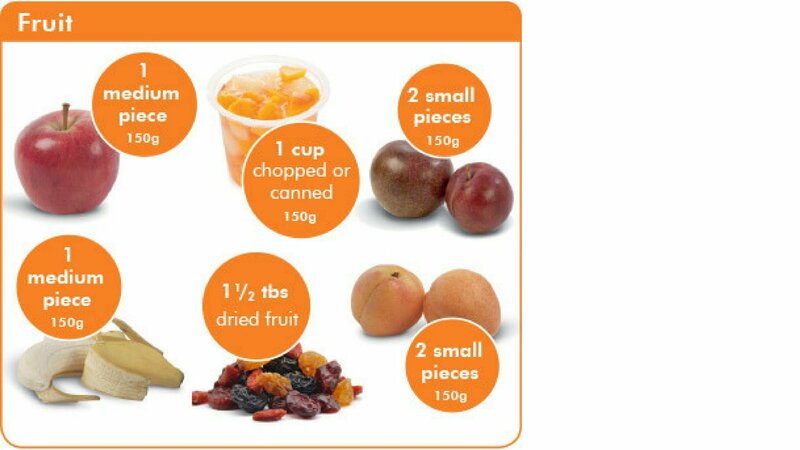 Eat Fruit Fresh – ensure fresh fruit is readily available & accessible. Think a big fruit bowl, bunches of grapes, a fruit salad & chopped up fruit in containers in the fridge. Serious Smoothies – click here to shop online. Add fruit to your salads – think pear, peaches, mangoes & cranberries. Try my Mango & Avocado Pasta here & my Pear & Pomegranate Salad here. Add fruit to your snacks & desserts – think fruit crumbles, nicecream, fruit with yoghurt, smoothie bowls etc. 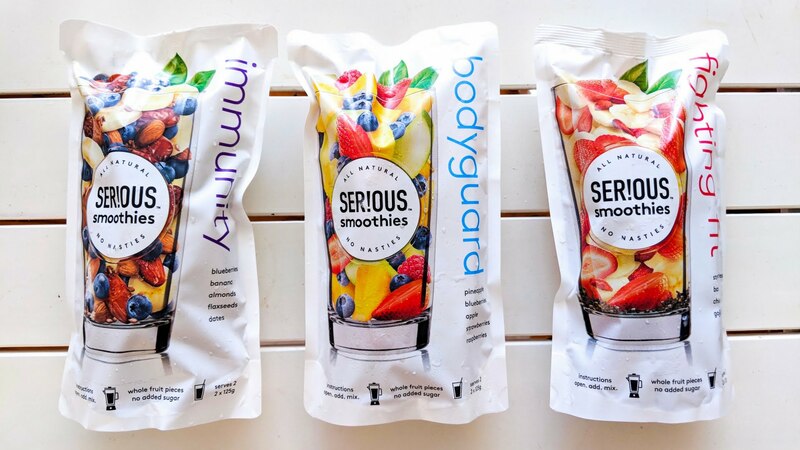 Note that you can use the Serious Smoothies I mentioned above in your snacks and dessert too! 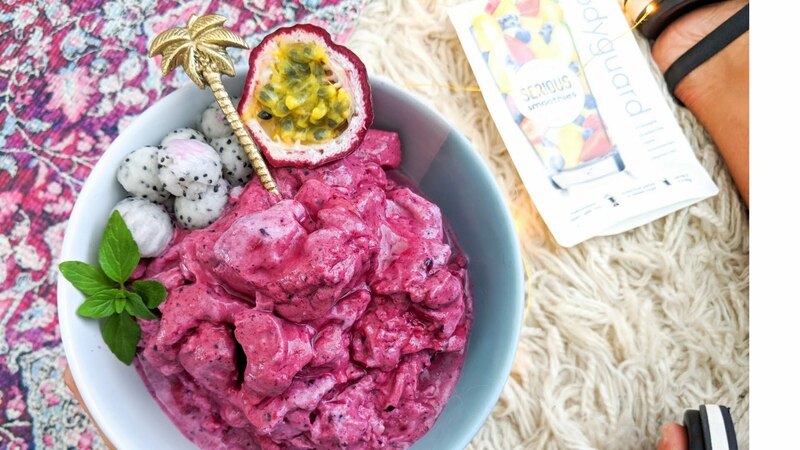 Below is a smoothie bowl that I made using the Bodyguard Serious Smoothie pack and topped it with passionfruit, dragonfruit & fresh mint. Made using Serious Smoothies – click here to view the range. Editor’s Note: This blog post is proudly sponsored by Serious Smoothies. All opinions are my own and not influenced in any way. If you are eating plenty of food from the other food groups (veg, grains etc) is it ok to eat more than the minimum recommended daily intake for fruit? My 20 month old has 2-3 serves of fruit per day (daily recommendation is 1/2) but doesn’t eat any discretionary foods, eats 2-4 serves of vege per day and has a very big appetite for her age. Is in the 70th percentile for weight. Is this fruit intake ok for health? Hi Layla 🙂 I would recommend taking your 20month to a dietitian as unfortunately I can’t recommend without doing a proper assessment. Get free health guides & recipes delivered straight to your inbox! Copyright 2018. All rights reserved. Rebecca Gawthorne - Dietitian & Nutritionist.